I have travelled to Costa Rica four times, so I guess you could say I like this country very much! Costa Rica is probably the safest country in Central America to visit as a traveller, the costs are reasonable, there are good roads, health care and other infrastructure, and the people are friendly and generally helpful to travellers. Major international airlines serve both San Jose and Liberia airports, and car rentals, taxis, tour bus and other transportation services are easily found. Costa Rica also has two deep sea ports at Puerto Caldera on the Pacific Coast and Puerto Limon on the Caribbean coast, so cruise ships make regular stops. 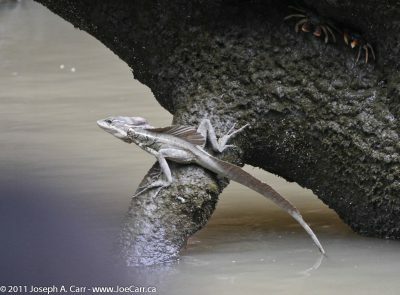 Please view my archived JoeTourist website for the following older trips to Costa Rica! This was a two week trip to Costa Rica. The first week was the same Southern Sky Fiesta tour I took the previous year arranged through TravelQuest (see below for details). The second week was on our own arrangements. Some friends and I traveled to Tamarindo, which is in the northwest corner of Costa Rica – a resort area with beautiful beaches and Leather Back Turtles. Victoria to San Jose – traveling to San Jose from my home in Canada took a day. Also included is our travel the next day from San Jose to La Ensenada “Star” Lodge. Southern Skies Fiesta – our stay at La Ensenada “Star” Lodge, where we did our celestial observing and other activities. 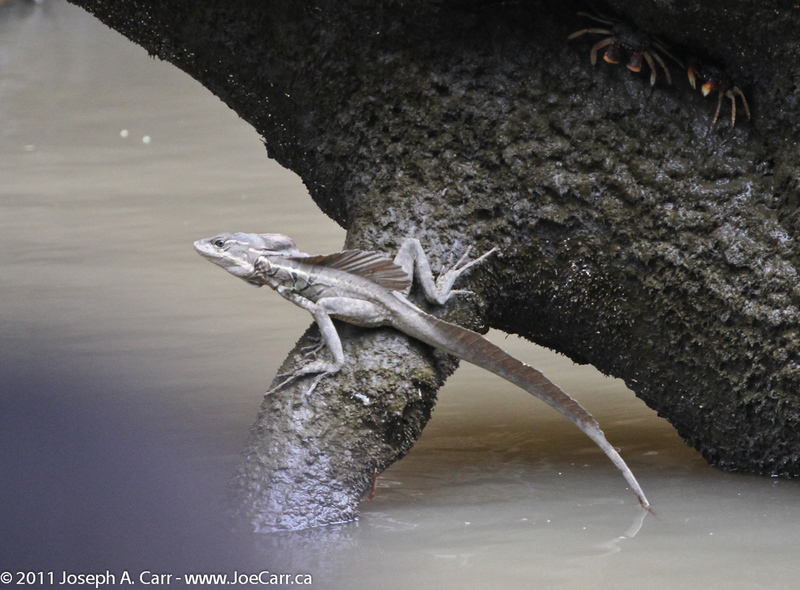 Tamarindo – some friends and I had a week of “beach time” on Costa Rica’s beautiful Pacific coast. San Jose to Victoria – I stayed at a funky hotel in San Jose before departing for home. Stephen O’Meara is an astronomy and volcano expert who contributes to National Geographic and Sky & Telescope magazines (among others) and dedicates himself to improving volcano prediction. Victoria to San Jose – traveling to San Jose from my home in Canada to Costa Rica took a day. La Ensenada Lodge – San Jose to La Ensenada “Star” Lodge, where we observed the night sky, rode horses, took a tractor ride tour of the working ranch, went on daily Nature Walks (at the Lodge); and took side tours to: Carara National Park and a boat ride to a nearby mangrove swamp to observe wildlife. Poas Volcano & Sarapiqui River region – Poas is the first volcano we see up close, and then we take rain forest tours to La Selva and Tirimbina. Arenal Volcano area – on our way to Arenal we do some river rafting, then see Arenal as up close as safety allows, and manage to also squeeze in some relaxing soaks in volcanic pools. The Two Oceans Coast to Coast Tour was a package from Fun Sun Tours (based in Edmonton, Alberta, Canada) which gave us two weeks in Costa Rica, covering the Caribbean coast, the Pacific coast, as well as some interesting inland destinations by tour bus. We stayed in San Jose (the capital of Costa Rica) for a couple of days, which gave us time for a look around the city, and to see a few of the sights. Our hotel is the Centro Colon – a nice hotel, centrally located in the hotel district, and only a couple of years old. Moderate rates, 24 hour coffee shop/restaurant, casino, bar, gift shop, and part of an American-style mall with some nice shops. The coffee in the coffee shop is the best we tasted in Costa Rica…and that’s saying a lot, considering Costa Rica grows so much coffee! Caribbean Coast of the trip (#2 on the map) took us on a 4 hour river boat trip up a jungle canal to the Jungle Lodge, located within Tortuguero National Park. Central Highlands (#3 on the map) – we stayed at a resort near Arenal Volcano which boasted volcanic hot pools for the guests. Along the way, we saw a botanical garden where many of the exotic tropical flowers we order from our florists at home are shipped from. We were even sprayed with volcanic ash from a rumbling volcano! Pacific Coast (#4 on the map) – we had the quintessinal tourist experience, including: staying at a huge resort which boasted acres and acres of swimming pools, went on a luxurious yacht to a tropical island in the gulf, and hiked among iguanas in the jungle! The final leg of our journey (#1 on the map) on our way back to San Jose we toured a painted ox cart factory and then to a butterfly farm. Our last night in Costa Rica (and San Jose) saw us experience the traditional hospitality of the Ticos atop Pico Blanco – a mountain overlooking the city. Folkloric dancers, traditional Costa Rican food, and warm and friendly Ticos all contributed to a wonderful final memory of Costa Rica. 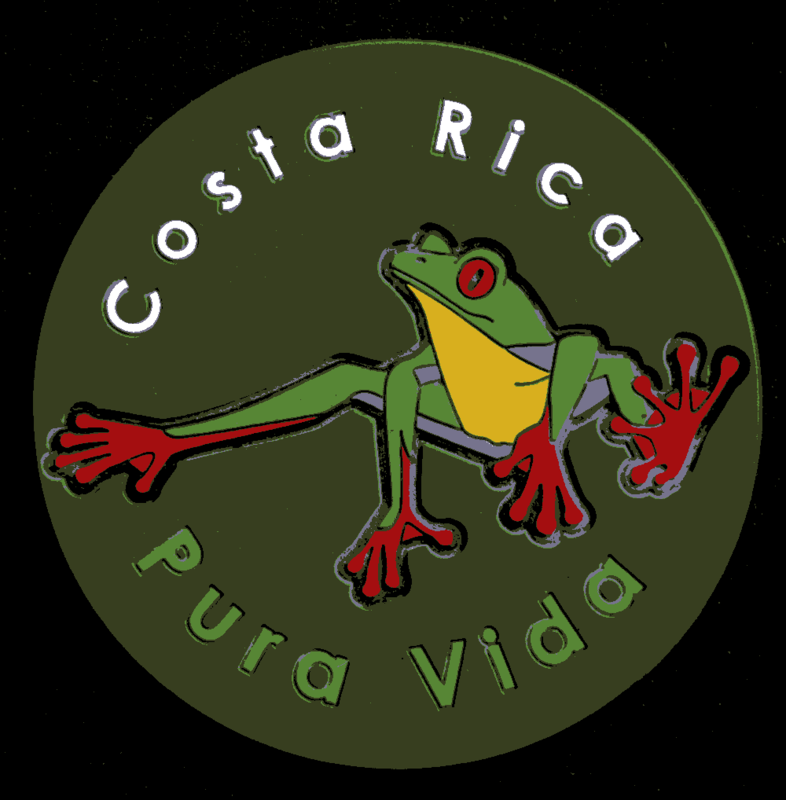 Please view my archived JoeTourist website for the older trips to Costa Rica!